Professional house cleaning, $15 an hour. I work very fast. An average sized carpeted living room requiring weekly maintenance can be dusted and vacuumed in enough time to shampoo the carpet in just about an hour. No job too messy, no confusion, just $15 an hour if you provide cleaning supplies. Just call 806-218-.... Available today! 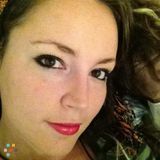 I'm brittany 34 female looking for 2/3 times a week PT maid job in Albuquerque NM.